FLSmidth designs, constructs and deliver plants, machinery, services and spare parts for the mineral and cement industries. My work is in the cement industry. 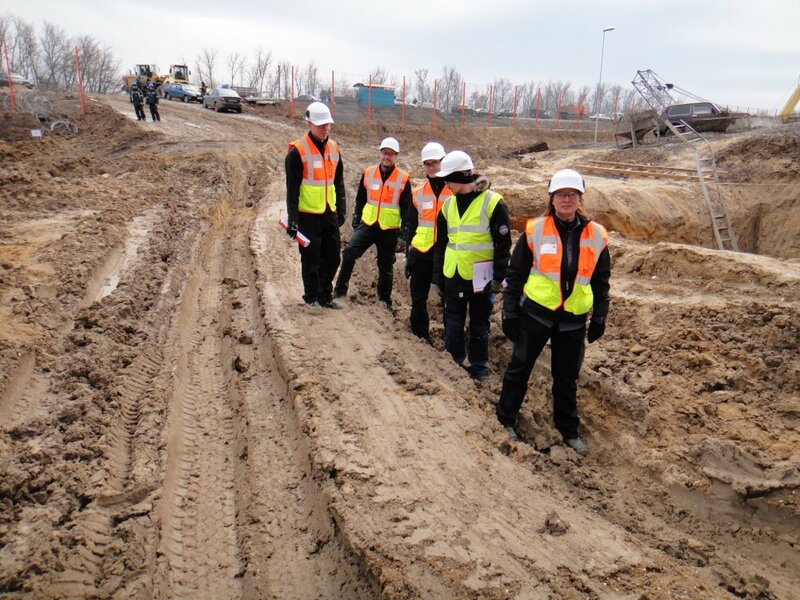 As a Field Engineer at FLSmidth I mainly worked in Russia from 2012-2014. The job was hands-on with focus on supervision of mechanical erection of industrial machines, alignment, maintenance, leadership and safety. This is inside the raw meal silo. The boxes on the floor is aviation boxes where raw meal comes to the silo via air slides. I am doing a leak test in the raw meal silo to ensure there is no leakages in the aviation boxes. You enter the raw meal silo or the cement silos via a man hole. I am using a pyro meter to ensure the steel has the right temperature before welding can take place. The steel is not heated enough yet as the temperature has to be 100 degree Celsius. Here I am in the quarry. Measurements of vibrations of the motor at a drive station to a conveyor belt upon start up. At the picture I am measuring the vibrations of the motor in the horizontal direction. A drive station to a conveyor belt. I am checking for oil leakage. This is the sand mill during the test run. View from the preheater tower. My first visit in Russia. This is the wagon tipper where iron ore comes in by train. Stairs to one of the many conveyor belt systems. 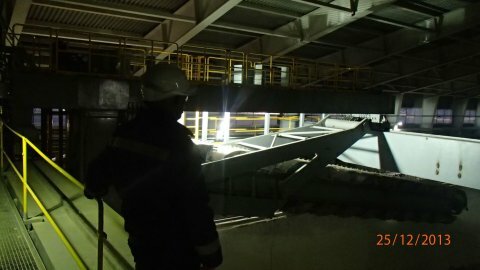 Conveyorbelt to the clinker production. There is 1,5 km from the cement silos to the office at Podgorensky Site. This is the hotel where I live in Podgorensky.